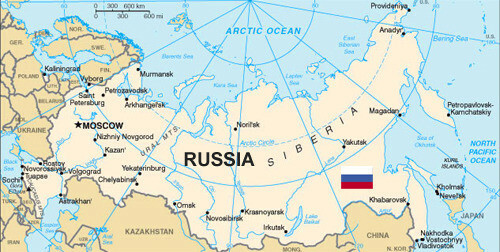 Russia is the world’s largest country by landmass. It includes nine different time zones and shares land borders with 14 neighboring countries. Russia offers many natural sights, from the sandy Curonian Split on the Baltic Sea coast to the vast Golden Mountains of Altai in Southern Siberia. Whether you’re exploring the grounds of Moscow’s Kremlin or wandering the Hermitage Museum in Saint Petersburg, a visit to Russia will introduce you to the beauty of a land which is rich in culture and history. Many people traveling to Russia are aware of the Trans-Siberian railway. It is part of the longest railway system in the world running from Moscow to Vladivostok. 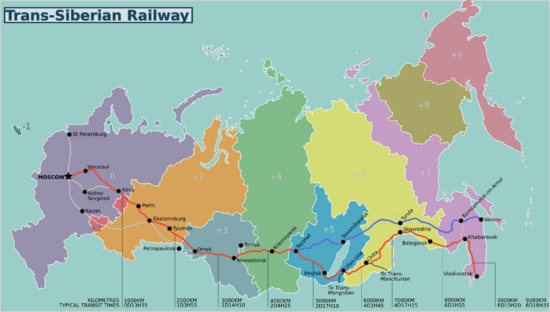 The line is known as the route of the tsars, begun in 1891 by Tsar Alexander III and completed by his son, Tsar Nicholas II, in 1916. According to an article from The Telegraph entitled, “Everything you need to know about booking a trip on the Trans-Siberian railway”, the cost for a one-way journey by service train to Vladivostok from Moscow, is about £500 ($644) in second class and £800 ($1,030) for first class, including food. Bedding is supplied in first- and second-class coaches. If you plan on making stops in between, you’ll need to pay extra. For people who really want to see Russia, the Trans-Siberian Railway is a great way to get a good look at about 6,000 miles of it. But for those who’d rather fly, get to their destinations faster, and spend more time in cities than on a train, purchasing air ticket deals would be the better option. And for those that like both can mix it around with trains and planes. 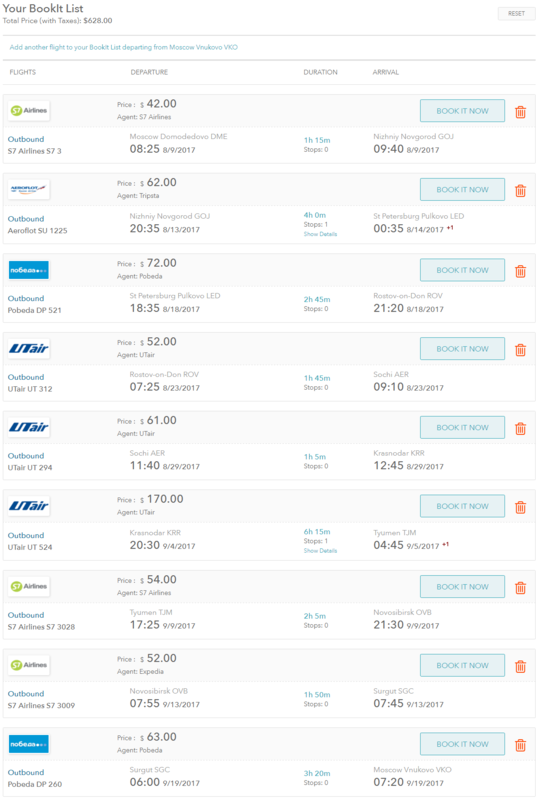 In this blog entry, I’ll be giving you an example of how to travel to 9 cities by plane for less than the price of a one-way Trans-Siberian rail ticket from Moscow to Vladivostok using the online flight deal tool SkySurf.Travel. 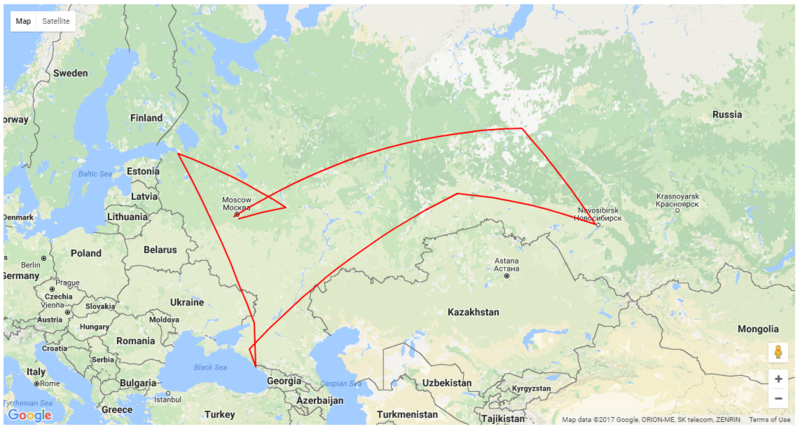 I’ll be beginning and ending my journey in Moscow, visiting 8 cities in between for the total price of $628 USD (taxes included). 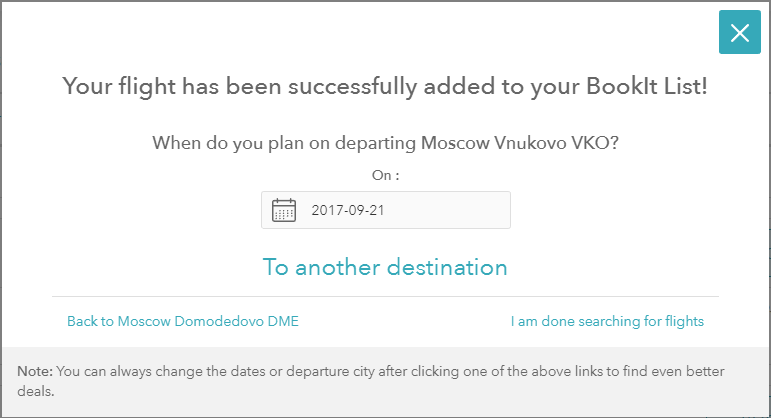 Here’s how I got this super deal: I first typed in “Moscow” in the “Traveling From” field, and then selected August 2017 in the “Depart Date” field. Finally, I clicked on the “Search Best Deals!” button and a list of the cheapest flights returned departing from Moscow in August 2017. I decided to stay in Nizhniy Novgorod for 4 nights, so I selected my departure date as August 13, 2017. Then I clicked on the “To another destination” and a new list of results has returned. You’ll be able to customize your trip anyway you like by repeating the same process as above until you reach your final destination. If you apply for a visa before buying your tickets, it’s possible that you won’t be able to find flights for the exact dates for which you applied or they may be more expensive. Most often, the earlier you book your flights the cheaper they will be. It is possible that you will purchase tickets in advance (if you’ve found a great deal or good price) and then not receive your visa. If you’re going as a tourist, have no criminal issues, have an invite and travel insurance, there’s very little chance of you being denied; however, it is not 100% guaranteed you’ll get a visa. If you need to get a visa, you should begin the process at least 5 weeks ahead of time.